Will the Truck/Van Gas Transfer system void my vehicle factory warranty? No, it will not void your vehicle warranty. Is the Truck/Van Gas Transfer system a permanent installation? Yes the system is meant to be permanently installed, however it can easily be removed and installed onto another vehicle if needed. What kind of flow can I expect from the Truck/Van Gas Transfer system? Since the system relies on the vehicles fuel pump the flow will be directly determined by the factory fuel pump that is on your vehicle. The majority of vehicles we have tested will flow over 1 gallon per minute. What should I do if the Truck/Van Gas Transfer System causes my vehicle to stall when I use it? Although this situation is very rare, you can prevent your vehicle from stalling by adjusting the Flow Valve on the back of the unit. Instead of turning this valve all the way open you can try opening it only ½ to ¾ of the way. Is the Truck/Van Gas Transfer system PT500 approved for use in California and other EPA regulated States? Yes this system has been approved for sale in California and all EPA regulated states. Can the Truck/Van Gas Transfer system be used with Diesel? No this system is designed to only work on gasoline applications. How do I know if the PT500 Truck/Van Gas Transfer System will work with my vehicle? 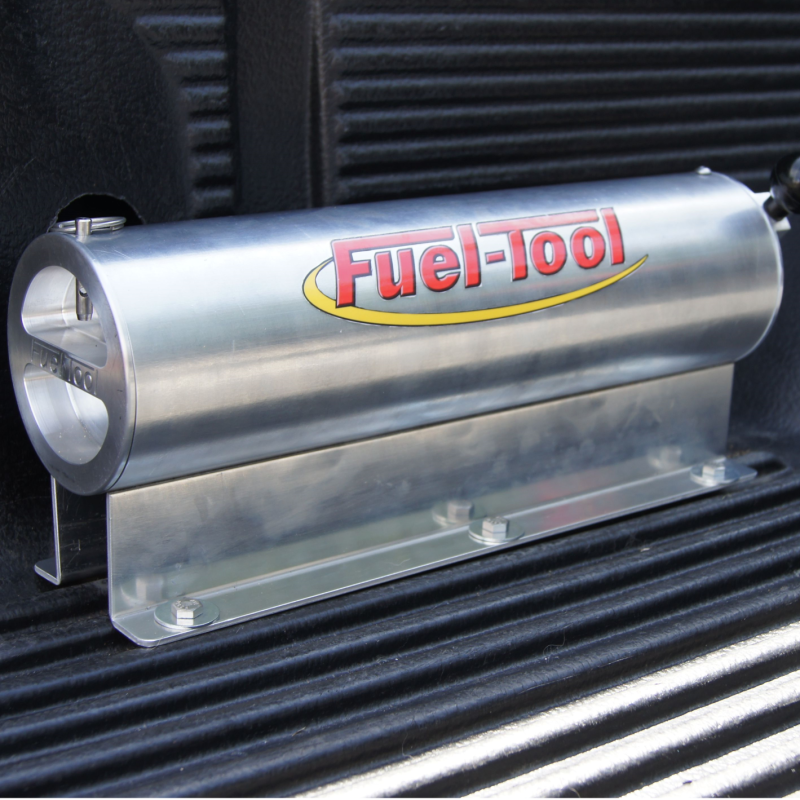 The system was designed to work on any Fuel Injected Truck or Van that has factory installed quick disconnect Fuel Lines. Most trucks from the Late 1990’s and newer have these connections. If you are not sure you can take a look at your vehicle Fuel Line to see if it is equipped with quick disconnects. Will the MC100 Motorcycle sharing system work on my motorcycle? 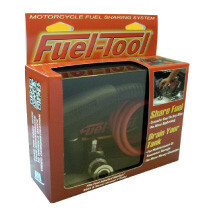 The system uses the factory quick disconnect fuel lines on 2001 and Newer Fuel-Injected Harley Davidson bikes; therefore it will only connect to those motorcycles. However you can still pump fuel into any brand motorcycle as long as the host bike is a Fuel Injected Harley. Is the MC100 Motorcycle sharing system a permanent installation? No, the systems uses quick disconnects which allows it to be installed and removed in just seconds. After use just simply pack the system away in the provided storage pouch. What should I do if there is fuel leaking from where I connected the MC100 system to my motorcycle? First turn off the motorcycle and remove the MC100 system. Take a look up inside the motorcycles factory quick disconnect check valve and inspect the lower O-Ring. The majority of the time this O-Ring will be dried up or damaged from the Ethanol in fuels available today that eat away at the factory O-Rings. We sell replacement Viton O-Rings (MC200-5) or entire check valve rebuild kits (MC300) on our website which include everything you need to rebuild your factory check valve. I am using the MC400 Check Valve Repair Tools and keep bending the hooks, what am I doing wrong? If you are bending the hooks it is mostly likely caused by applying too much pressure when inserting the tool up into the Check Valve. Try to apply only a slight amount of pressure while rotating the handle with the hook clockwise. You will feel the hook grab the O-Ring and then at this point you can pull straight down and the O-Ring should come right out. This may take a few tries to get the proper feel. If you need replacement Hooks please feel free to contact us.